Good capture. Knowing the precise speed of each ‘flying machine’ and the distance it covered in your 6 minute exposure photograph (you may have to enlarge your photo on your computer screen) are you able to determine their distance from earth. Yes. You are correct. The airplane blinking lights have a timed sequence. That time multiplied by the speed of the plane gives the distance covered between each blink. The ISS has no blinking lights I can detect. That poses a challenge. Good question. I always find your posts fascinating. Take care. Thank you. I enjoy the graceful fly-overs. Maybe it looks closer because it’s brighter? That and the path is both larger making it seem closer and continuous which also help create the illusion. 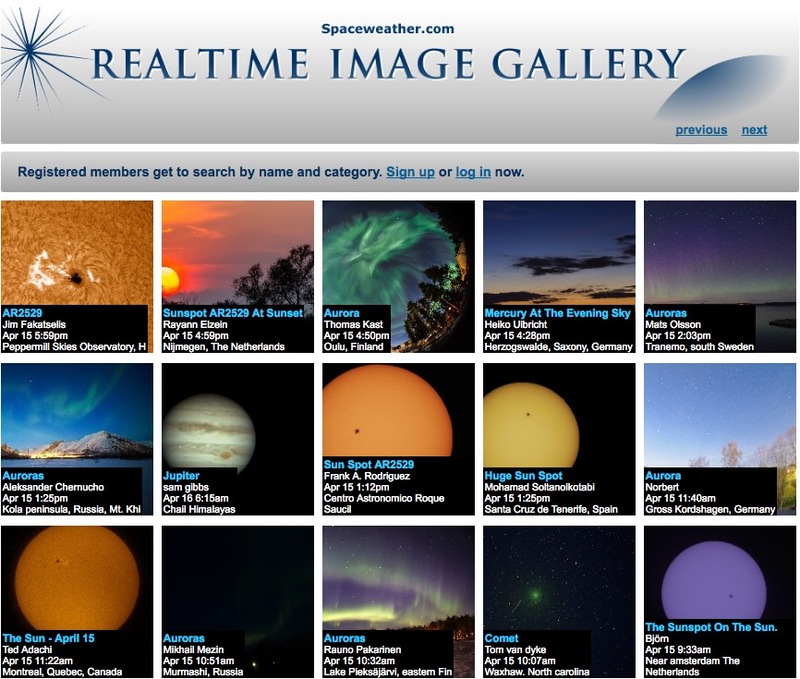 If the stars really could observe us, as we observe them, what might they think? You people are small and cold? That is so cool. We sure have had a rough winter, haven’t we? We are indeed small and cold. But mighty! Thank you. 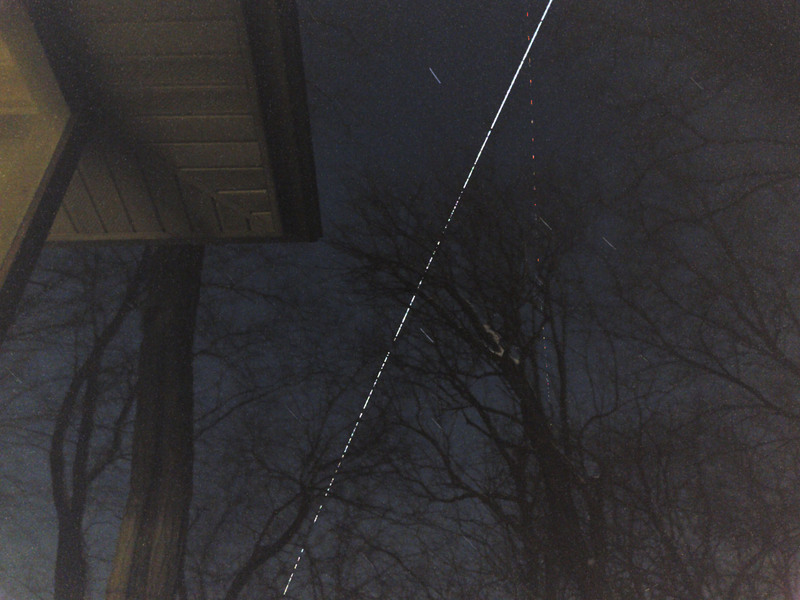 I noticed the blinking plane lights as I watched ISS pass. It didn’t occur to me that they crossed paths. Yes, the winter is getting old now. We are due to get several more inches of snow tonight and Sunday. The week ahead will stay cold. Yes. Still doing it here. Looks like 5″. About that here too. My son just spent a week in northern Wisconsin. He says they got quite a bit more. Not surprising. Beautiful but tiresome. But last night I saw a beautiful big fat red moon! Your kitchen must be rather cold now. I hope you can close the windows soon. The tarp is likely doing a good job. Check for mice, tho. They might smell food and explore inside it. It was too cloudy here to see the moon. It was big and bright the few nights before. We got a little over 2″ of snow. No rain or freezing rain. I’m glad you didn’t get the freezing rain. Many of my friends have also fallen the past few days. The end is near. I hope you will enjoy the result.